Auto accidents are one of the leading causes of death in the United States. Even with all the advancements in vehicle safety technology, the number of people killed in auto accidents are continuously rising. According to The New York State Department of Motor Vehicles, in the year 2014, there were 299,452 crashes in New York. Out of this, 966 were fatal crashes and 1,026 people died in these accidents. 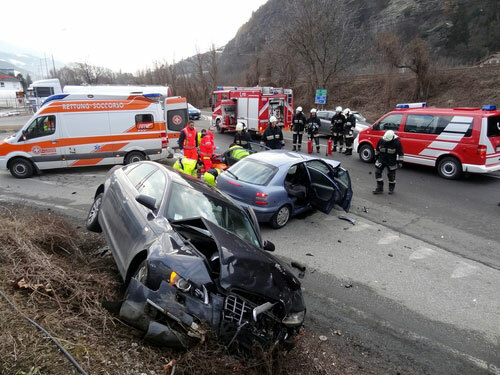 Many lives can be saved if drivers are aware of the physical, psychological, road, and weather conditions that increase the risk of accidents and take preventative measures to avoid such accidents. A driver’s skill level is based on experience. When a driver chooses to exceed the speed limit, not only does the driver put his or her own life at risk, but also the passengers in the vehicle. Speeding not only reduces the amount of time necessary to avoid an accident but also increases the risk of an accident and makes it more severe if it occurs. Driver distraction is another root cause of auto accidents. Rubbernecking is the most dangerous distraction that causes auto accidents. Other common driver distractions include driver fatigue, looking outside, other passengers, adjusting the radio, cassette or CD player and texting while driving. According to the U.S. National Traffic Safety Administration, drowsy driving accounts for about 100,000 accidents every year in the United States. Symptoms of driver fatigue are heavy eyelids, frequent yawning, a drifting vehicle that wanders over road lines, varying vehicle speed for no reason and misjudging traffic situations. Driving when drunk makes the driver impaired. Not only does the driver lose the ability to react to situations immediately, but also fails to make any judgment. Drunk driving can be very hazardous. A number of physical conditions can affect safe driving and physical abilities, which are necessary for avoiding accidents. Physical conditions, such as poor vision, poor hearing, illness, and fatigue, can cause serious accidents. Weather conditions, such as heavy rain, hail, snowstorms, ice, high winds and fog, can make driving more difficult. Such conditions make it difficult to see the road clearly, which can cause accidents. Drivers who neglect to stop at signs and lights are the biggest killers on the road. Every year, thousands of accidents and hundreds of deaths occur because a driver ran a stop sign or sped through a red light. Driving on the wrong side of the road is a major cause of auto accidents. It often results in a head-on collision, which is the most dangerous type of auto accident. The force of both vehicles must be dissipated instantly, which results in the most damage to the driver and his or her vehicle. Aggressive driving occurs when a driver operates a vehicle in a selfish, bold or pushy manner, without any regard for the rights or safety of other drivers on the streets and highways. Some aggressive driving behaviors are aggressive tailgating, aggressive or rude gestures, verbal abuse, physical assaults and more. Injured in an accident? Contact personal injury attorney Robert P. Ianelli. We will evaluate your case and assist you in making a well-informed decision.